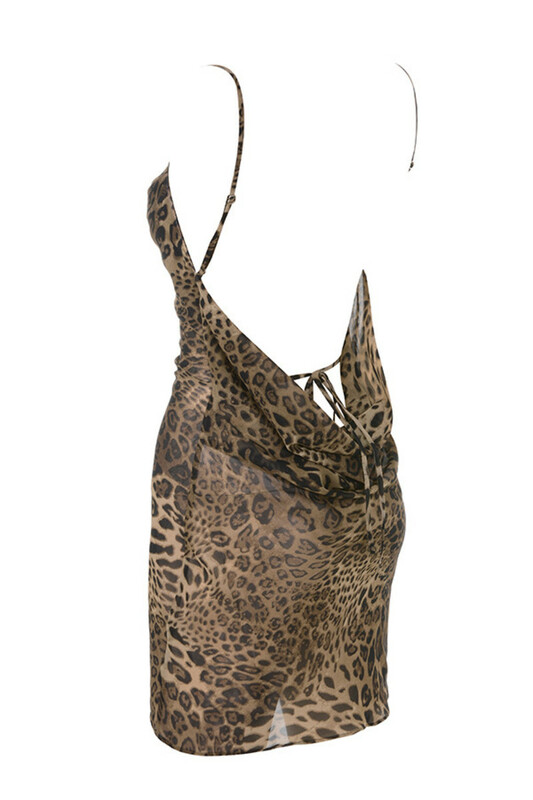 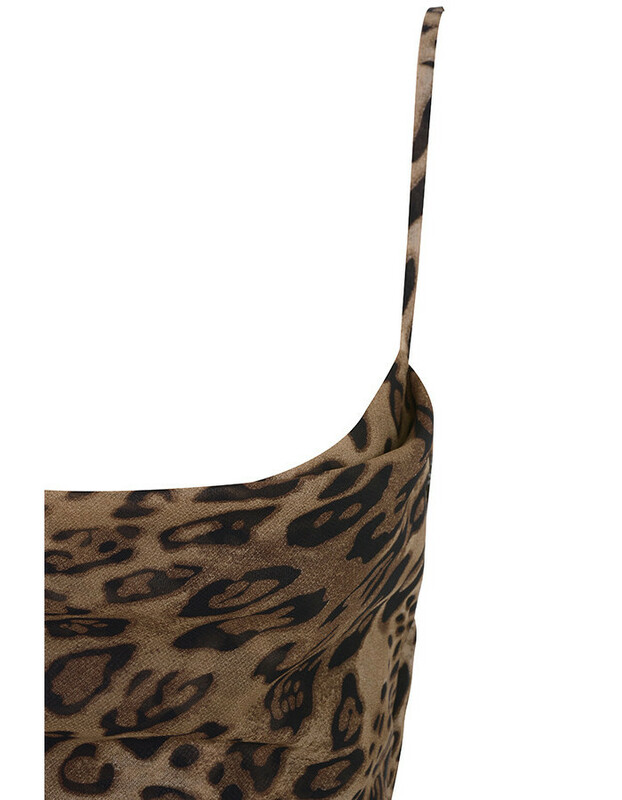 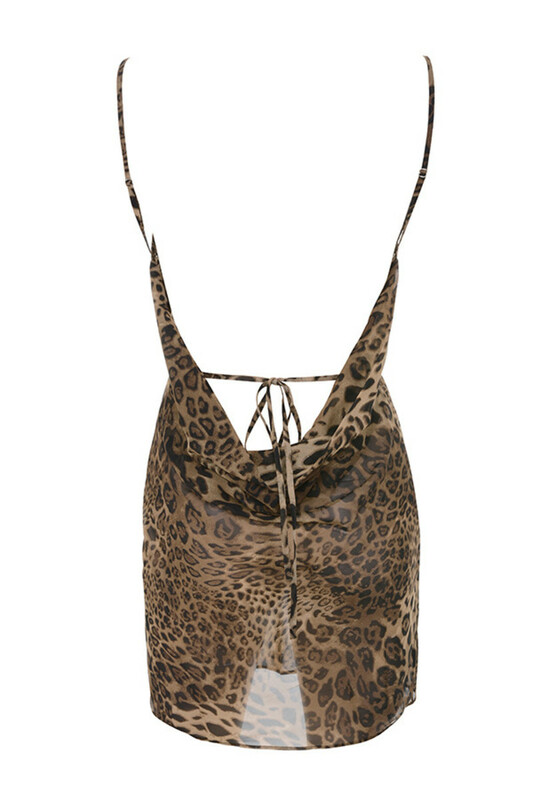 This bias cut dress is crafted from a slightly sheer leopard print mesh. 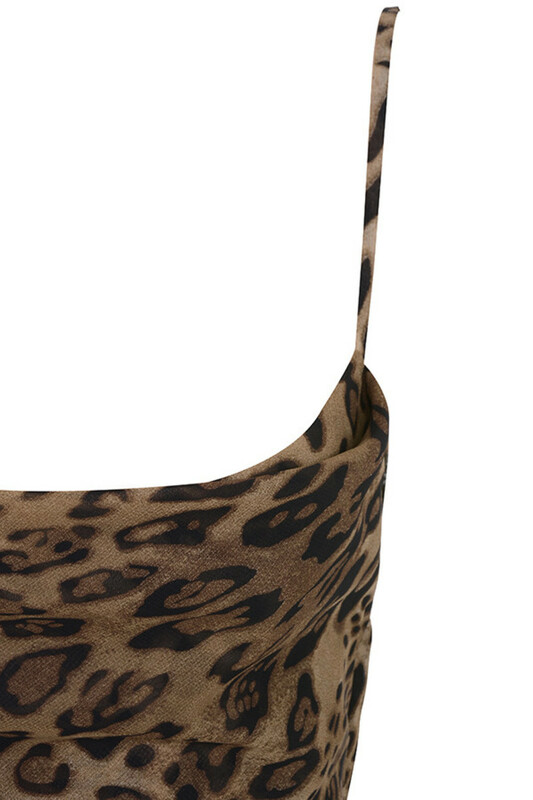 The back drapes to just above the booty and the delicate dainty straps are adjustable for a perfect fit. 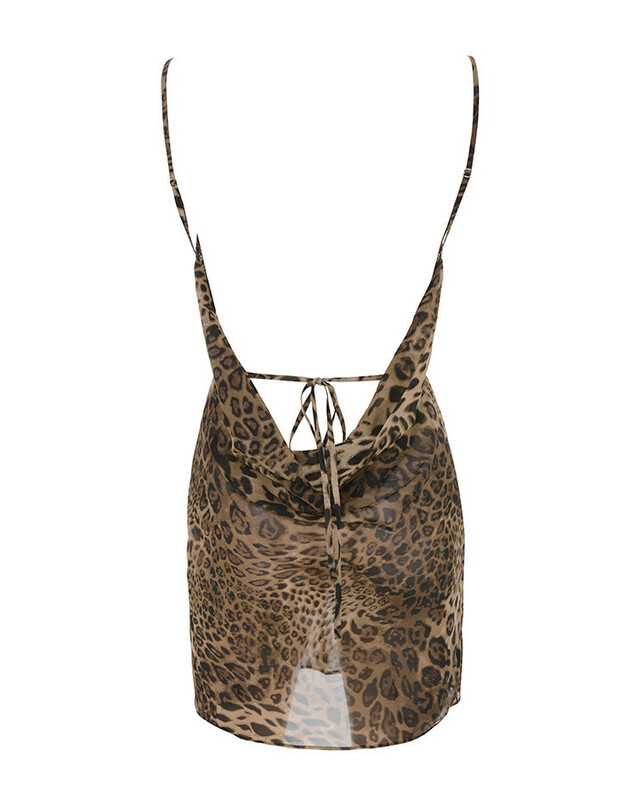 Wear this whimsical creation with high sandals.